Layout Archives - The Branding Store | Logo Design, Web Design and E-commerce specialists.| Pembroke Pines, Florida. In all of the excitement about CSS Grid Layout and Flexbox, another layout method is often overlooked. In this article I’m going to take a look at Multi-column Layout — often referred to as multicol or sometimes “CSS Columns”. You’ll find out which tasks it is suited for, and some of the things to watch out for when making columns. The basic idea of multicol, is that you can take a chunk of content and flow it into multiple columns, as in a newspaper. You do this by using one of two properties. The column-count property specifies the number of columns that you would like the content to break into. The column-width property specifies the ideal width, leaving the browser to figure out how many columns will fit. It doesn’t matter which elements are inside the content that you turn into a multicol container, everything remains in normal flow, but broken into columns. This makes multicol unlike other layout methods that we have in browsers today. Flexbox and Grid for example, take the child elements of the container and those items then participate in a flex or grid layout. With multicol, you still have normal flow, except inside a column. In the below example I am using column-width, to display columns of at least 14em. Multicol assigns as many 14em columns as will fit and then shares out the remaining space between the columns. Columns will be at least 14em, unless we can only display one column in which case it may be smaller. Multicol was the first time that we saw this kind of behavior in CSS, columns being created which were essentialy responsive by default. You do not need to add Media Queries and change the number of columns for various breakpoints, instead we specify an optimal width and the browser will work it out. See the Pen Smashing Multicol: column-width by Rachel Andrew (@rachelandrew) on CodePen. See the Pen Smashing Multicol: column styling by Rachel Andrew (@rachelandrew) on CodePen. That is the basic functionality of multicol. You can take a chunk of content and split it into columns. Content will fill the columns in turn, creating columns in the inline direction. You can control the gaps between columns and add a rule, with the same possible values as border. So far so good, and all of the above is very well supported in browsers and has been for a long time, making this spec very safe to use in terms of backwards compatibility. There are some further things you might want to consider with your columns, and some potential issues to be aware of when using columns on the web. Sometimes you might like to break some content into columns, but then cause one element to span across the column boxes. Applying the column-span property to a descendent of the multicol container achieves this. In the example below, I have caused a <blockquote> element to span across my columns. Note that when you do this, the content breaks into a set of boxes above the span, then starts a new set of column boxes below. The content doesn’t jump across the spanned element. The column-span property is currently being implemented in Firefox and is behind a feature flag. See the Pen Smashing Multicol: column-span by Rachel Andrew (@rachelandrew) on CodePen. Be aware that in the current spec, the values for column-span are either all or none. You can’t span just some of the columns, but you can get the kind of layout you might see in a newspaper by combining multicol with other layout methods. In this next example, I have a grid container with two column tracks. The left-hand track is 2fr, the right-hand track 1fr. The article in the left-hand track I have turned into a multicol container with two tracks, it also has a spanning element. On the right, we have an aside which goes into the second Grid column track. By playing around with the various layout methods available to us, we can figure out exactly which layout method suits the job at hand — don’t be afraid to mix and match! See the Pen Smashing Multicol: mixing layout methods by Rachel Andrew (@rachelandrew) on CodePen. If you have content containing headings, then you probably want to avoid the situation where a heading ends up as the last thing in a column with the content going into the next column. If you have images with captions then the ideal situation would be for the image and caption to stay as one unit, not becoming split across columns. To deal with these problems CSS has properties to control where the content breaks. When you split your content into columns, you perform what is known as fragmentation. The same is true if you split your content between pages, such as when you create a stylesheet for a print context. Therefore, multicol is closest to Paged Media than it is to other layout methods on the web. Because of this, for several years the way to control breaks in the content has been to use the page-break- properties which were part of CSS2.1. More recently the CSS Fragmentation specification has defined properties for fragmentation which are designed for any fragmented context, the spec includes details for Paged Media, multicol and the stalled Regions spec; Regions also fragments a continuous piece of content. By making these properties generic they can apply to any future fragmented context to, in the same way that the alignment properties from Flexbox were moved into the Box Alignment spec in order that they could be used in Grid and Block layout. As an example, I have used break-inside avoid on the <figure> element, to prevent the caption being detached from the image. A supporting browser should keep the figure together even if that causes the columns to look unbalanced. See the Pen Smashing Multicol: break-inside by Rachel Andrew (@rachelandrew) on CodePen. Unfortunately, support for these properties in multicol is pretty patchy. Even where supported they should be seen as a suggestion due to the fact that it would be possible to make so many requests while trying to control breaking, that essentially the browser can’t really break anywhere. The spec does define priorities in this case, however it is probably more useful for you to control only the most important cases. One reason why we don’t see multicol used much on the web is the fact that it would be very easy to end up with a reading experience which made the reader scroll in the block dimension. That would mean scrolling up and down vertically for those of us using English or another vertical writing mode. This is not a good reading experience! If you fix the height of the container, for example by using the viewport unit vh, and there is too much content, then overflow will happen in the inline direction and so you get a horizontal scrollbar instead. See the Pen Smashing Multicol: overflow columns by Rachel Andrew (@rachelandrew) on CodePen. Neither of these things are ideal, and making use of multicol on the web is something we need to think about very carefully in terms of the amount of content we might be aiming to flow into our columns. For Level 2 of the specification, we are considering how to enable a method by which overflow columns, those which currently end up causing the horizontal scrollbar, could instead be created in the block direction. This would mean that you could have a multicol container with a height, and once the content had made columns which filled that container, a new set of columns would be created below. This would look a little like our spanning example above, however, instead of having a spanner causing the new column boxes to start, it would be the overflow caused by a container with a restriction in the block dimension. This feature would make multicol far more useful for the web. While we are a little way off right now, you can keep an eye on the issue in the CSS Working Group repo. If you have additional use cases for this feature do post them, it can really help when designing the new feature. What Is Multicol Useful For Today? With the current specification, splitting all of your content into columns without consideration for the problems of scrolling isn’t advised. However, there are some cases where multicol is ideal on the web. There are enough uses cases to make it something you should consider when looking at design patterns. Multicol can be useful in any place where you have a small list of items that you want to take up less space. For example a simple listing of checkboxes, or a list of names. Often in these scenarios, the visitor is not reading down one column and then going back to the top of the next, but scanning the content for a checkbox to click or an item to select. Even if you do create a scrolled experience, it may not be an issue. You can see an example of multicol used in this way by Sander de Jong on the DonarMuseum website. There are times when we design a site where we know that some piece of content is relatively small, and will fit on the majority of screens without causing unwanted scrolling. I’ve used multicol on Notist presentation pages, for the introduction to a talk. 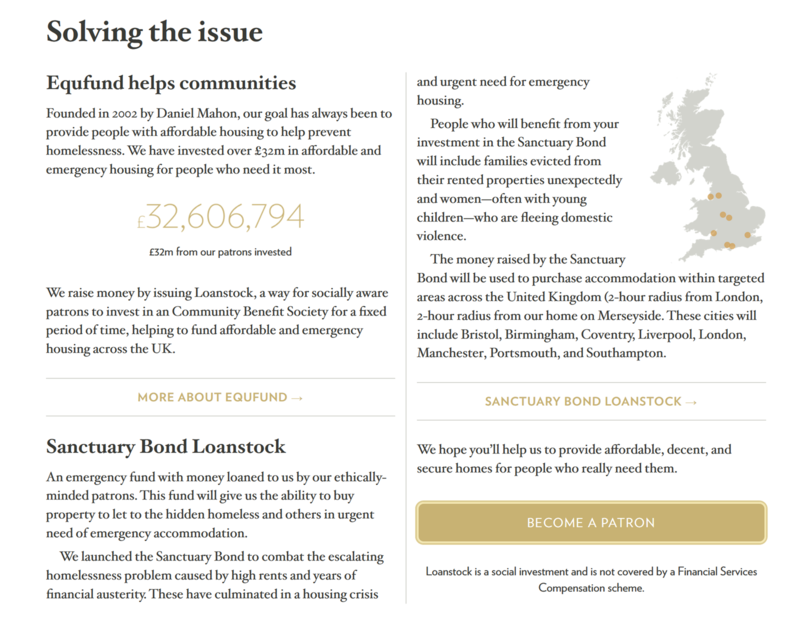 Andy Clarke designed a lovely example for the Equfund website. To avoid the possibility of very small screens causing scrolling, remember that you can use media queries to check for height as well as width (or in a logical world, block as well as inline). If you only enable columns at a breakpoint which has a min-height large enough for their content, this can save users of very small devices having a poor scrolling experience. Another place where Multiple-column Layout works beautifully is if you want to create a Masonry type of display of content. Multicol is the only layout method that will currently create this kind of layout with unequal height items. Grid would either leave a gap, or stretch the items to make a strict two-dimensional grid. Veerle Pieters has a beautiful example of using multicol in this way on her inspiration page. The column- properties can also be used as a fallback for Grid and Flex layout. If you specify one of the properties on a container, then turn that container into a Flex or Grid layout by using display: flex or display: grid any column behavior will be removed. If you have, for example, a cards layout that uses Grid Layout, and the layout would be readable if it ran in columns rather than across the page, you could use multicol as a simple fallback. Browsers that do not support Grid will get the multicol display, those which support Grid will get the Grid Layout. Fairly frequently I answer Grid and Flexbox questions where the answer is to not use Grid or Flexbox, but instead to look at Multicol. You probably won’t use it on every site, but when you come across a use case it can be really helpful. Over at MDN there are useful resources for multicol and the related fragmentation properties. If you have used multicol on a project, perhaps drop a note in the comments, to share other ways in which we can use the feature. An increasingly common question — now that people are using CSS Grid Layout in production — seems to be “What are the best practices?” The short answer to this question is to use the layout method as defined in the specification. The particular parts of the spec you choose to use, and indeed how you combine Grid with other layout methods such as Flexbox, is down to what works for the patterns you are trying to build and how you and your team want to work. Looking deeper, I think perhaps this request for “best practices” perhaps indicates a lack of confidence in using a layout method that is very different from what came before. Perhaps a concern that we are using Grid for things it wasn’t designed for, or not using Grid when we should be. Maybe it comes down to worries about supporting older browsers, or in how Grid fits into our development workflow. In this article, I’m going to try and cover some of the things that either could be described as best practices, and some things that you probably don’t need to worry about. To help inform this article, I wanted to find out how other people were using Grid Layout in production, what were the challenges they faced, what did they really enjoy about it? Were there common questions, problems or methods being used. To find out, I put together a quick survey, asking questions about how people were using Grid Layout, and in particular, what they most liked and what they found challenging. In the article that follows, I’ll be referencing and directly quoting some of those responses. I’ll also be linking to lots of other resources, where you can find out more about the techniques described. As it turned out, there was far more than one article worth of interesting things to unpack in the survey responses. I’ll address some of the other things that came up in a future post. This is not unique to Grid, however, the ability to rearrange content so easily in two dimensions makes it a bigger problem for Grid. However, if using any method that allows content re-ordering — be that Grid, Flexbox or even absolute positioning — you need to take care not to disconnect the visual experience from how the content is structured in the document. Screen readers (and people navigating around the document using a keyboard only) are going to be following the order of items in the source. The places where you need to be particularly careful are when using flex-direction to reverse the order in Flexbox; the order property in Flexbox or Grid; any placement of Grid items using any method, if it moves items out of the logical order in the document; and using the dense packing mode of grid-auto-flow. Which Grid Layout Methods Should I Use? 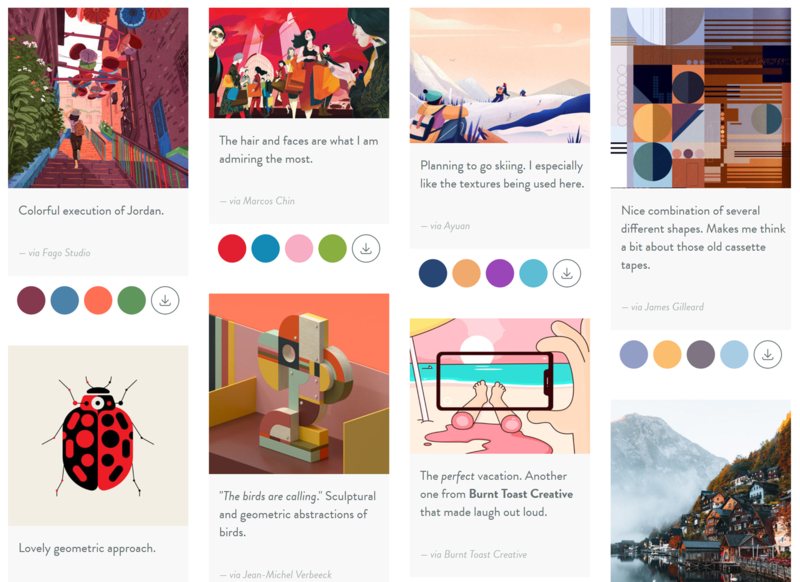 When you first take a look at Grid, it might seem overwhelming with so many different ways of creating a layout. Ultimately, however, it all comes down to things being positioned from one line of the grid to another. You have choices based on the of layout you are trying to achieve, as well as what works well for your team and the site you are building. Should I Use An Implicit Or Explicit Grid? The grid you define with grid-template-columns and grid-template-rows is known as the Explicit Grid. The Explicit Grid enables the naming of lines on the Grid and also gives you the ability to target the end line of the grid with -1. You’ll choose an Explicit Grid to do either of these things and in general when you have a layout all designed and know exactly where your grid lines should go and the size of the tracks. I use the Implicit Grid most often for row tracks. I want to define the columns but then rows will just be auto-sized and grow to contain the content. You can control the Implicit Grid to some extent with grid-auto-columns and grid-auto-rows, however, you have less control than if you are defining everything. You need to decide whether you know exactly how much content you have and therefore the number of rows and columns — in which case you can create an Explicit Grid. If you do not know how much content you have, but simply want rows or columns created to hold whatever there is, you will use the Implicit Grid. A track of at least 300px in height (but expands). Any further content will go into a row created in the Implicit Grid, and I am using the grid-auto-rows property to make those tracks at least 300px tall, expanding to auto. Choose this technique when you are happy for content to drop below earlier content when there is less space, and are happy to allow a lot of flexibility in sizing. You have specifically asked for your columns to display with a minimum size, and to auto fill. There were a few comments in the survey that made me wonder if people were choosing this method when they really wanted a grid with a fixed number of columns. If you are ending up with an unpredictable number of columns at certain breakpoints, you might be better to set the number of columns — and redefine it with media queries as needed — rather than using auto-fill or auto-fit. Which Method Of Track Sizing Should I Use? I described track sizing in detail in my article “How Big Is That Box? Understanding Sizing In Grid Layout,” however, I often get questions as to which method of track sizing to use. Particularly, I get asked about the difference between percentage sizing and the fr unit. If you simply use the fr unit as specced, then it differs from using a percentage because it distributes available space. If you place a larger item into a track then the way the fr until will work is to allow that track to take up more space and distribute what is left over. The first column is wider as Grid has assigned it more space. To cause the fr unit to distribute all of the space in the grid container you need to give it a minimum size of 0 using minmax(). So you can choose to use fr in either of these scenarios: ones where you do want space distribution from a basis of auto (the default behavior), and those where you want equal distribution. I would typically use the fr unit as it then works out the sizing for you, and enables the use of fixed width tracks or gaps. The only time I use a percentage instead is when I am adding grid components to an existing layout that uses other layout methods too. If I want my grid components to line up with a float- or flex-based layout which is using percentages, using them in my grid layout means everything uses the same sizing method. Auto-Place Items Or Set Their Position? You will often find that you only need to place one or two items in your layout, and the rest fall into place based on content order. In fact, this is a really good test that you haven’t disconnected the source and visual display. If things pretty much drop into position based on auto-placement, then they are probably in a good order. Once I have decided where everything goes, however, I do tend to assign a position to everything. This means that I don’t end up with strange things happening if someone adds something to the document and grid auto-places it somewhere unexpected, thus throwing out the layout. If everything is placed, Grid will put that item into the next available empty grid cell. That might not be exactly where you want it, but sat down at the end of your layout is probably better than popping into the middle and pushing other things around. Which Positioning Method To Use? When working with Grid Layout, ultimately everything comes down to placing items from one line to another. Everything else is essentially a helper for that. Decide with your team if you want to name lines, use Grid Template Areas, or if you are going to use a combination of different types of layout. I find that I like to use Grid Template Areas for small components in particular. However, there is no right or wrong. Work out what is best for you. Remember that Grid Layout isn’t the one true layout method to rule them all, it’s designed for a certain type of layout — namely two-dimensional layout. Other layout methods still exist and you should consider each pattern and what suits it best. I think this is actually quite hard for those of us used to hacking around with layout methods to make them do something they were not really designed for. It is a really good time to take a step back, look at the layout methods for the tasks they were designed for, and remember to use them for those tasks. In particular, no matter how often I write about Grid versus Flexbox, I will be asked which one people should use. There are many patterns where either layout method makes perfect sense and it really is up to you. No-one is going to shout at you for selecting Flexbox over Grid, or Grid over Flexbox. In my own work, I tend to use Flexbox for components where I want the natural size of items to strongly control their layout, essentially pushing the other items around. I also often use Flexbox because I want alignment, given that the Box Alignment properties are only available to use in Flexbox and Grid. I might have a Flex container with one child item, in order that I can align that child. A sign that perhaps Flexbox isn’t the layout method I should choose is when I start adding percentage widths to flex items and setting flex-grow to 0. The reason to add percentage widths to flex items is often because I’m trying to line them up in two dimensions (lining things up in two dimensions is exactly what Grid is for). However, try both, and see which seems to suit the content or design pattern best. You are unlikely to be causing any problems by doing so. This also comes up a lot, and there is absolutely no problem with making a Grid Item also a Grid Container, thus nesting one grid inside another. You can do the same with Flexbox, making a Flex Item and Flex Container. You can also make a Grid Item and Flex Container or a Flex Item a Grid Container — none of these things are a problem! What we can’t currently do is nest one grid inside another and have the nested grid use the grid tracks defined on the overall parent. This would be very useful and is what the subgrid proposals in Level 2 of the Grid Specification hope to solve. A nested grid currently becomes a new grid so you would need to be careful with sizing to ensure it aligns with any parent tracks. A comment popped up a few times in the survey which surprised me, there seems to be an idea that a grid should be confined to the main layout, and that many grids on one page were perhaps not a good thing. You can have as many grids as you like! Use grid for big things and small things, if it makes sense laid out as a grid then use Grid. In general, modern browsers are far more interoperable than their earlier counterparts. We tend to see far fewer actual “browser bugs” and if you use HTML and CSS correctly, then you will generally find that what you see in one browser is the same as in another. We do, of course, have situations in which one browser has not yet shipped support for a certain specification, or some parts of a specification. With Grid, we have been very fortunate in that browsers shipped Grid Layout in a very complete and interoperable way within a short time of each other. Therefore, our considerations for testing tend to be to need to test browsers with Grid and without Grid. You may also have chosen to use the -ms prefixed version in IE10 and IE11, which would then require testing as a third type of browser. Browsers which support modern Grid Layout (not the IE version) also support Feature Queries. This means that you can test for Grid support before using it. When using fallbacks for browsers without support for Grid Layout (or using the -ms prefixed version for IE10 and 11), you will want to test how those browsers render Grid Layout. To do this, you need a way to view your site in an example browser. I would not take the approach of breaking your Feature Query by checking for support of something nonsensical, or misspelling the value grid. This approach will only work if your stylesheet is incredibly simple, and you have put absolutely everything to do with your Grid Layout inside the Feature Queries. This is a very fragile and time-consuming way to work, especially if you are extensively using Grid. In addition, an older browser will not just lack support for Grid Layout, there will be other CSS properties unsupported too. If you are looking for “best practice” then setting yourself up so you are in a good position to test your work is high up there! There are a couple of straightforward ways to set yourself up with a proper method of testing your fallbacks. The easiest method — if you have a reasonably fast internet connection and don’t mind paying a subscription fee — is to use a service such as BrowserStack. This is a service that enables viewing of websites (even those in development on your computer) on a whole host of real browsers. BrowserStack does offer free accounts for open-source projects. 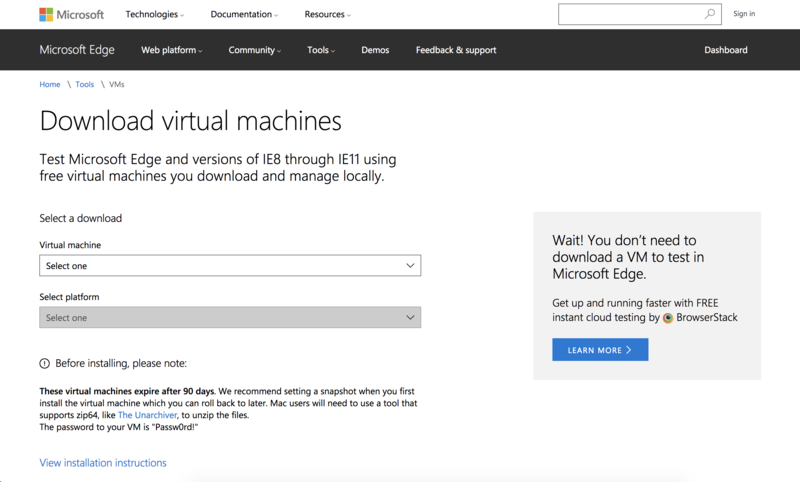 You can download Virtual Machines for testing from Microsoft. To test locally, my suggestion would be to use a Virtual Machine with your target browser installed. Microsoft offers free Virtual Machine downloads with versions of IE back to IE8, and also Edge. You can also install onto the VM an older version of a browser with no Grid support at all. For example by getting a copy of Firefox 51 or below. After installing your elderly Firefox, be sure to turn off automatic updates as explained here as otherwise it will quietly update itself! You can then test your site in IE11 and in non-supporting Firefox on one VM (a far less fragile solution than misspelling values). Getting set up might take you an hour or so, but you’ll then be in a really good place to test your fallbacks. Many of the people responding to the survey mentioned the need to unlearn old habits and how learning Layout would be easier for people completely new to CSS. I tend to agree. When teaching people in person complete beginners have little problem using Grid while experienced developers try hard to return grid to a one-dimensional layout method. I’ve seen attempts at “grid systems” using CSS Grid which add back in the row wrappers needed for a float or flex-based grid. Don’t be afraid to try out new techniques. If you have the ability to test in a few browsers and remain mindful of potential issues of accessibility, you really can’t go too far wrong. And, if you find a great way to create a certain pattern, let everyone else know about it. We are all new to using Grid in production, so there is certainly plenty to discover and share. To wrap up, here is a very short list of current best practices! If you have discovered things that do or don’t work well in your own situation, add them to the comments. Be very aware of the possibility of content re-ordering. Check that you have not disconnected the visual display from the document order. Test using real target browsers with a local or remote Virtual Machine. Don’t forget that older layout methods are still valid and useful. Try different ways to achieve patterns. Don’t be hung up on having to use Grid. Know that as an experienced front-end developer you are likely to have a whole set of preconceptions about how layout works. Try to look at these new methods anew rather than forcing them back into old patterns. Keep trying things out. We’re all new to this. Test your work and share what you discover. A common Grid Layout gotcha, is when a newcomer to the layout method wonders how to style a grid cell which doesn’t contain any content. In the current Level 1 specification this isn’t possible, there is no way to target an empty Grid Cell or Grid Area and apply styling. This means that to apply styling you need to insert an element. In this article I am going to take a look at how to use CSS Generated Content to achieve styling of empty cells without adding redundant empty elements, and show some use cases where this technique makes sense. A common Grid Layout gotcha is when a newcomer to the layout method wonders how to style a grid cell which doesn’t contain any content. In the current Level 1 specification, this isn’t possible since there is no way to target an empty Grid Cell or Grid Area and apply styling. This means that to apply styling, you need to insert an element. In this article, I am going to take a look at how to use CSS Generated Content to achieve styling of empty cells without adding redundant empty elements and show some use cases where this technique makes sense. A key feature of Flexbox and Grid Layout is that they can deal with distributing available space between, around and inside grid and flex items. Quite often this just works, and we get the result we were hoping for without trying very hard. This is because the specifications attempt to default to the most likely use cases. Sometimes, however, you might wonder why something ends up the size that it is. Designers of all types constantly face issues with the structure of their designs. One of the easiest ways to control the structure of a layout and to achieve a consistent and organized design is to apply a grid system. A grid is like invisible glue that holds a design together. Even when elements are physically separated from each other, something invisible connects them together. While grids and layout systems are a part of the heritage of design, they’re still relevant in this multiscreen world we live in. Flexbox has become one of the most popular tools for creating website layouts. Susy is another layout tool that has gained popularity with the Sass community over the last few years. Many developers I’ve spoken with are unsure which tool is best for creating layouts for their websites. Some feel that flexbox is powerful enough to handle all of their layout problems. However, they are unsure whether to learn it because of its confusing syntax. Layout on the web is hard. The reason it is so hard is that the layout methods we’ve relied on ever since using CSS for layout became possible were not really designed for complex layout. While we were able to achieve quite a lot in a fixed-width world with hacks such as faux columns, these methods fell apart with responsive design. Thankfully, we have hope, in the form of flexbox — which many readers will already be using — CSS Grid Layout and the box alignment module.